Plug it in for blazing electric solos or go acoustic for traditional flamenco. 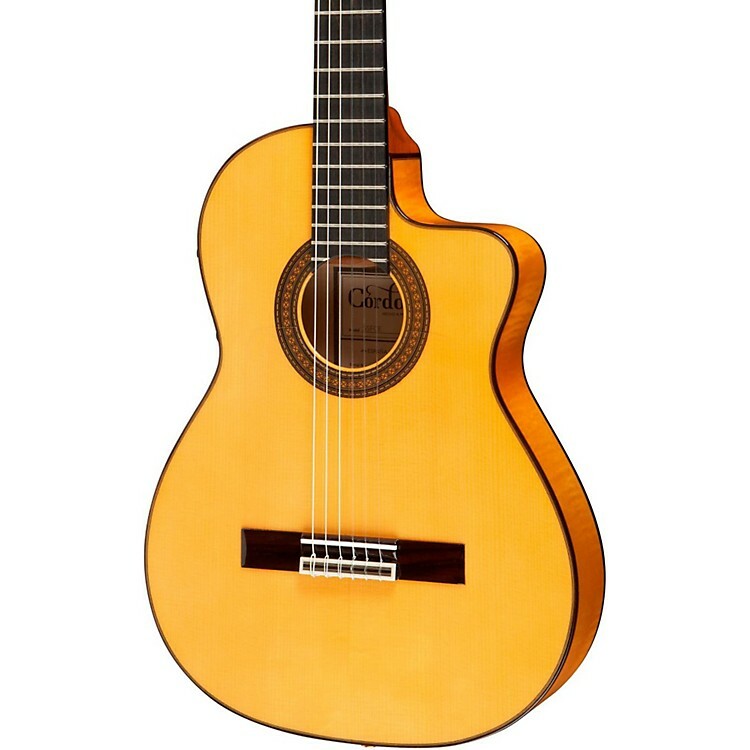 The ultimate crossover nylon-string guitar for any style of guitarist. Played by the Gipsy Kings, the 55FCE's thin body design, deep cutaway, and slightly narrower neck width give the guitar a comfortable feel at home, on stage, or in the studio. The Fishman Prefix ProBlend on board electronics with 3-band EQ make the 55FCE the perfect guitar for improvisation with an amplified sound. Comes with a HumiCase Thinbody Protege case. The traditional favorite of the Gipsy Kings can now be yours.